Since I will not be celebrating St. Patrick's Day in the traditional sense, my friend and I decided to make some festive cupcakes for the occasion. I have made Bailey's Cupcakes in the past but these are a bit different and I think they turned out even better. The buttercream was AMAZING and there was actually almost a full cup of baileys right in the actual cupcake. This is a recipe I am sure will be requested again and again! 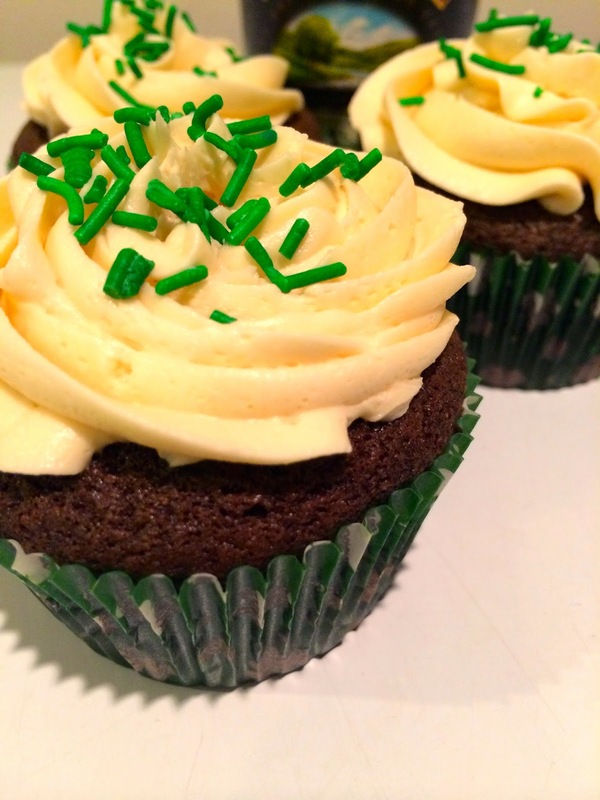 The recipe was adapted from How Sweet Treats Kahlua and Cream Double Chunk Cupcakes. In a separate bowl whisk together egg and sugar. Stir in vanilla and melted butter. Add flour mixture in two parts, alternating with sour cream. Stir in Baileys. Spoon batter into cupcake lined pan. Fill about 2/3s full. Bake for 15-18mins or until tooth pick inserted into centre comes out clean. Let cool completely before frosting. Beat butter with electric mixer until smooth and creamy. Add in icing sugar slowly. Beat in vanilla and Baileys until fluffy. 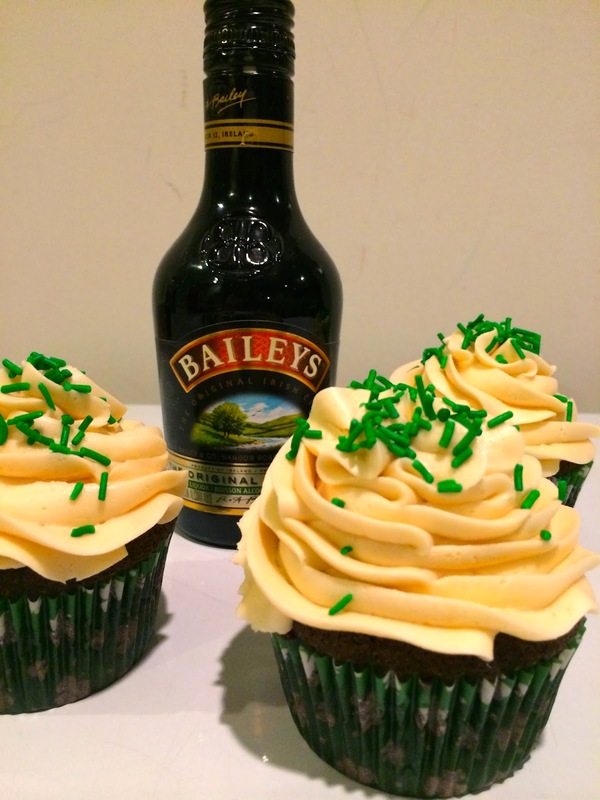 I love bailey's....these cupcakes look so delicious! This is seriously too funny... great minds think alike ! love your pictures!! Thanks! Hope you enjoyed your St Patty's!